James Elam, in 1954 was the first to demonstrate experimentally that cardiopulmonary resuscitation (CPR) was a sound technique and, with Dr. Peter Safar, he demonstrated its superiority to previous methods. Peter Safar wrote the book ABC of resuscitation in 1957. In the United States, it was first promoted as a technique for the public to learn in the 1970s. Some techniques were found to keep people alive developed in the 18th century, both in Japan and in Europe, but it was well into the 20th century before Elam and Safar discovered and published the truly effective method known as CPR. Safar conducted research on existing basic life support procedures including controlling a person’s breathing airway by tilting back his or her head with an open mouth; and using mouth-to-mouth breathing. 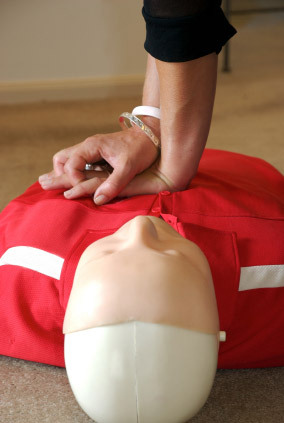 He combined these with a procedure known as closed-chest cardiac massage to become the basic life support method of CPR. For more information regarding our courses, please use the menu items at the top of this page.